How? Let's be honest. Riding the same old tracks again and again is as boring as can be. 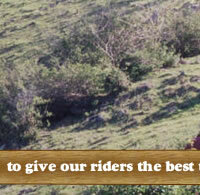 Even our horses think so. 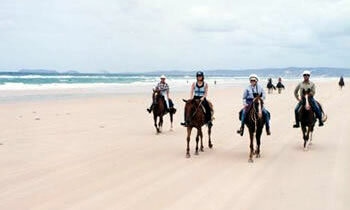 So let's pack our bags (horses included) and head off for the weekend. 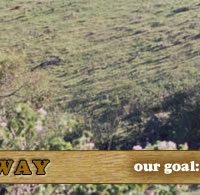 Generally speaking we go away for Friday, Saturday and Sunday with the riding being on Saturday and Sunday. Guests can stay one, two or three nights as they wish. Beds, hot showers, toilets and cooking facilities are usually provided though you are quite welcome to bring your own tent. 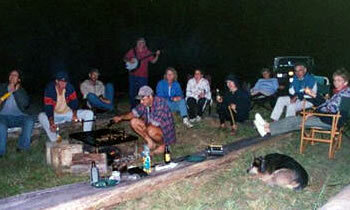 Dinner round the campfire usually becomes a party around the campfire after a sunset drink or two. Somebody always manages to bring a guitar. 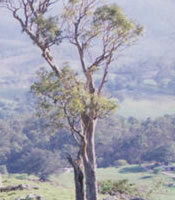 These weekends are very popular and everyone always has a great time. 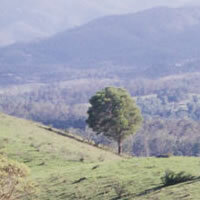 To the mountains, to the beach, Kilkivan - "The Great Australian Trail Ride". Basically WHEREVER YOU WANT. The horses are transported by our big specially set up semi-trailer while our guests arrive and leave whenever they wish. 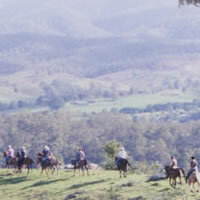 Transport from Slickers Riding Centre at Dunlop Lane, Kurwongbah, (just north of Brisbane - our nearest railway station is Petrie) to the ride destination is available for riders if required. If we do not have an away ride in the immediate programme think about an overnight stay at our cattle property in Ocean View. 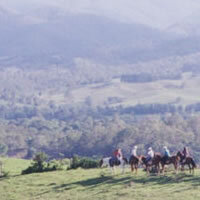 Ride to the Ocean View Winery on the Saturday, then stay overnight at the farm having a party around the camp fire, then ride the cattle property stopping at our lake for a picnic lunch. 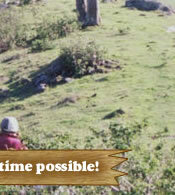 A deposit of 50% is required and the balance at least 7 days before the ride. 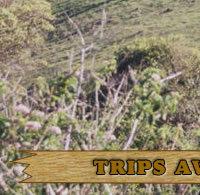 From our away ride destinations.